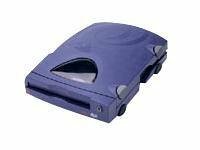 The Iomega 250MB Parallel Port Zip Drive stores up to 250MB of data on Iomega Zip Disks. Reads and writes to 250MB and 100MB zip disks. Not compatible with 750MB zip disks. It connects to your PC via its parallel port and is not appropriate for Macs. The package contains: 1) One 250MB Zip Drive with power supply and cable, 2) One CD containing IomegaWare software, 3) Users manual and 4) Quick install guide. Zip Disks are sold separately. This is a legacy computer accessory and is no longer manufactured by Iomega. It is compatible with almost all versions of Windows software with the exception of Windows 7. Parallel Port Zip drives are NOT supported in Windows 7.